Who doesn’t love to have a healthy glowing skin? Yes! We all do but different factors around us make it hard to accompany with the vigorous and dazzling looking skin. You are here in need of getting back that dazzling face from those factors. Dark spots are one aspect which makes our skin dull and dry looking. If your skin is having excessive production of melanin then it can lead to dark spots, aging spots, freckles, uneven skin tone and dark brown patches. The darkening of the skin can lead to fast aging, dark patches and dark spots on the skin.Don’t be sad,read the article, how to get rid of dark spots on face fast. 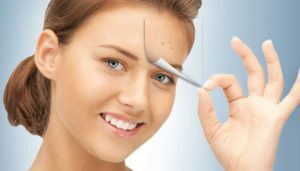 Before going on remedial issues I would love to gather the causes of dark spots because before going into depth you must learn the main causes of dark spots. The main culprit behind the curtain is the Sun exposure. Almost 80% people have their dark spots due to sun exposure. It’s very widespread at any age. The sun exposure dark spots are scattered everywhere. It can occur not only on face but also on other parts of the body. Dark spots may occur if you have acne, pimples or burn scars. Sometimes skin treatments do more harm than anything else. Skincare products which don’t suit you will lead you to a much serious dark spot issues. Hormonal imbalances, pregnancy and certain steroids can create problems of dark spots. The remedial issues will depend on the causes of spots that are occurring to you. Improper treatment can cause more harm to you. Below I will include the methods which I personally used and got benefit. I will add some further tips and trick which I gathered from my near and dear ones. This awesome plant is useful for many a more health related issues. Aloe Vera gel has anti fungal and anti bacterial properties which will help to reduce down any skin or hair related issues. Take an aloe vera leaf and take out the gel out of it. Rub the gel on the dark spot areas and let it try. Try to use natural aloe vera. People use 92% aloe vera gel which is not natural rather they demand it as natural. After it dries wash it with the cold water. Apply this method for more than 2 times a day. Surely you will get help from using aloe vera gel. 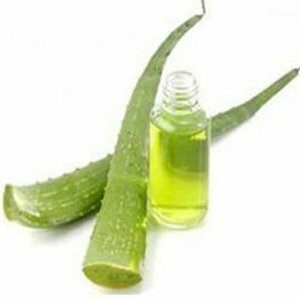 Continuous use of aloe vera gel will help to reduce down the dark spots. My mother uses this method and she got a huge result in reducing dark patches on her forehead by using aloe vera gel at night. Pleasingly you know that citrus is present in many fruits which are available at our home. It’s one traditional method which is being used for over the centuries. It helps to remove the upper skin of your face and make it lighten for over the time. You can simply use any fruits containing citrus or can use citrus in a pack. 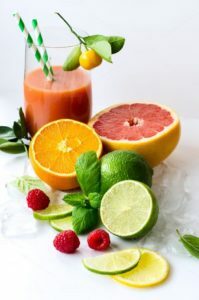 Take half lemon/ lime / grapefruit or orange and squeeze out the juice. After that dip one cotton ball and apply it directly onto your face where you are noticing dark spots or patches. If your skin is very sensitive like mine, you can use a few drops of water or rose water. I love to use rose water instead to regular water. If you wanted to avoid the harshness then you can use a face mask. Take juice of any citrus juice and add with it 1tsp to 2 tsp of honey. Mix it and apply onto the face. Keep it for about 30 minutes. After that wash it with regular water. Use lemon or lime or any other citrus related juice thrice a day to avoid dark spots on your face. This method works very well if you have dark spots or dark patches due to sun exposure. Turmeric has been used for ages for many a more purpose. Apart from using it for cooking you can use this for your beauty concern as well. 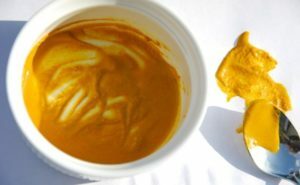 Turmeric is one splendid agent which helps to lighten the skin tone. The below method is tested by myself and I found tremendous outcome after using this. Lemon or Lime juice optional. Then add with it milk and lemon juice to make a smooth paste. Apply the mask whole over the face. You can use it on the other parts of your body. Keep it for about 30 minutes and then wash off with warm water. I can guarantee you this method will work like magic. Use these pack 3 times a week. If you have incurred to much dark spot then you use it the every other day to get a better result. Use this process for 2 months continuously. 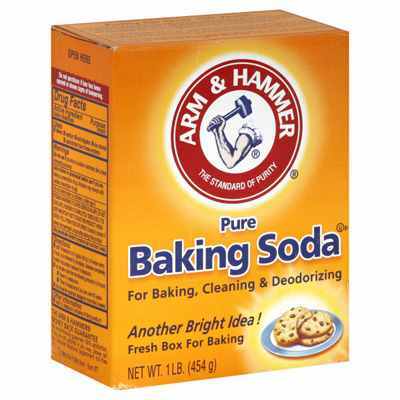 Baking soda exfoliates your skin. People said is to be harsh but I guess if you are using a oil balancing or good quality moisturizer then it will be easier for you to cope up with baking soda. Apply the mixture where you are noticing black or dark spots. Don’t use it onto your whole face as it can create more dilemmas. Keep it for about 1 hour or you can keep it overnight before going to bed. Use this method 3 times a week. Try to use moisturizer after using baking soda. Rose water in baking soda helps to give you a healthy radiant skin. 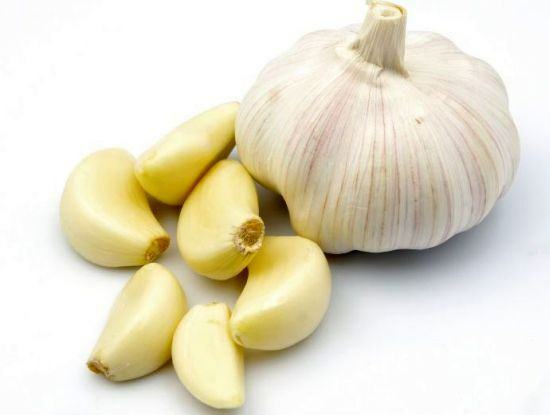 Garlic is best to reduce any skin impurities if it occurs due to infection or bacteria. I personally didn’t use garlic but one of my friends used this method and get assistance. Cut the garlic in vertical manner. Apply the cut side onto the area where there is dark spots. Only apply over the black spots. I would suggest not using it anywhere else because it will burn down your skin. Now, keep it for only 15 minutes. Wash it off with cold water. Remember if your skin reacts after using garlic then as soon as possible wash it off. Papaya can be used both raw and ripe. I used the ripe method and my sister’s favorite is the raw method. Firstly, the easy method. In your food processor or blender, tuck in some ripe papaya. Blend it and then apply the paste onto your whole face. Keep it for about 30 minutes. Then wash it off with normal water. Raw papaya works best if you want to get rid of dark spots instantly. It gives a boosting effect on your skin. Grate some raw papaya and soak those in fresh lemon juice. Soak for about 5 minutes and then you can use it onto the area where you are experiencing dark spots or patches. Keep if for about 20 to 30 minutes. Then wash it off with lukewarm water. Instead of lemon you can use lime. If you want a bit of glow then you can use rose water in the raw papaya. 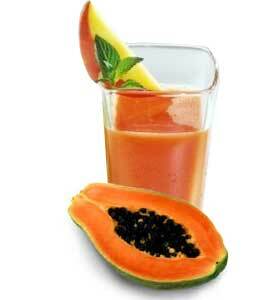 Raw papaya helps to reduce down the dark spots very fast. Use raw papaya daily for 2 weeks and you will obviously notice the change. From the ancient age sandal wood is being used for various purpose. My grandma was a real beauty and she uses sandal wood as her face pack. Take one teaspoon of sandal wood powder and add with it 2 teaspoon of milk and ½ teaspoon of honey. Mix it well then apply the mixture onto the affected area. After 15 minutes wash it off with cold water. 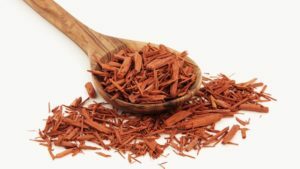 Apply the sandal wood powder for about one month and twice a week and obviously you will receive a great upshot. Sandal wood helps to make your skin look brighter and better. Overnights treatments are not preferred by me. I love to go natural all the time. I have included the overnight process which is rather harmful for our skin. Laser treatment is the first method which many a more people are using. By pointing laser beam on the dark spots it eventually burns your skin layer. Laser treatment gives the instant outcome. You may notice redness, inflammation or infection. I personally don’t prefer this because it may come up with more impairment situation. I seriously don’t like to use this. Use of Retin-A is very common now-a-days. Tropical over the counter treatments use alpha-hydroxyl acid and retinol. Now the main thing is that these ingredients will burn off the affected skin which has dark spots. It will help to grow new tender skin to make your skin soft and glamorous like before. Once I used Retin-A to remove dark spots. It made my skin more disastrous then the previous condition. The first layer of my skin tends to fall off because of the acidic properties. Then I got to know the reason behind it. If you are using alpha- hydroxyl acid or other acidic treatments make sure you are using sunscreen and good moisturizer which will make your skin soft and calm. Except from the laser treatment I have used many methods which I have listed above. Try to use these and share your thoughts after using those. If you have any other method which works best for you please feel free to share and help others.